Papaya is a key ingredient in skin whitening products because it contains papain, a natural enzyme that promotes skin renewal and cell turnover. It helps in exfoliating the skin to reveal newer cells and has restorative properties that soften the skin. Fig has a cooling effect, which refreshes and rejuvenates the skin, and is also rich in antioxidants. Crab Apple is a rich source of antioxidants and vitamins which prevent skin cell degeneration and premature skin aging. Cucumber is an excellent toner as it immediately tightens open pores. The abundant antioxidants in Cucumber rejuvenate the skin and leave it feeling soft and smooth. Fuller's Earth is an excellent cleanser that removes deep-seated dirt and skin pollutants. 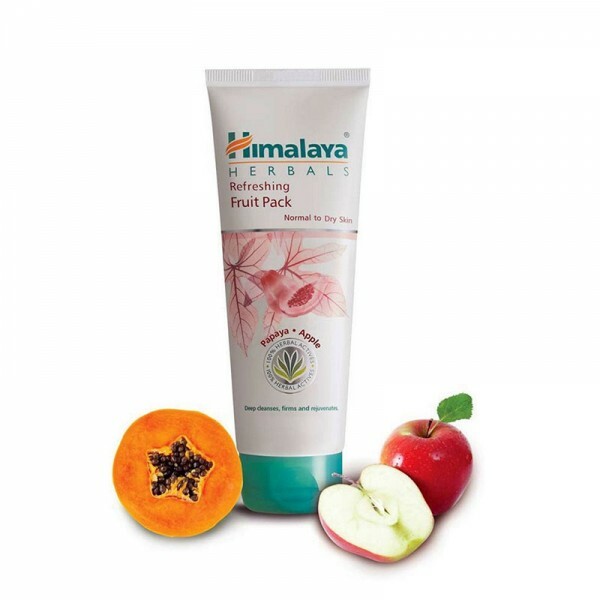 Apply Refreshing Fruit Pack evenly over cleansed face and neck, avoiding the area around the eyes and mouth. Let the mask dry for 10-15 minutes, and remove with a wet sponge or towel. Rinse with cool water. For optimal results, use once a week.